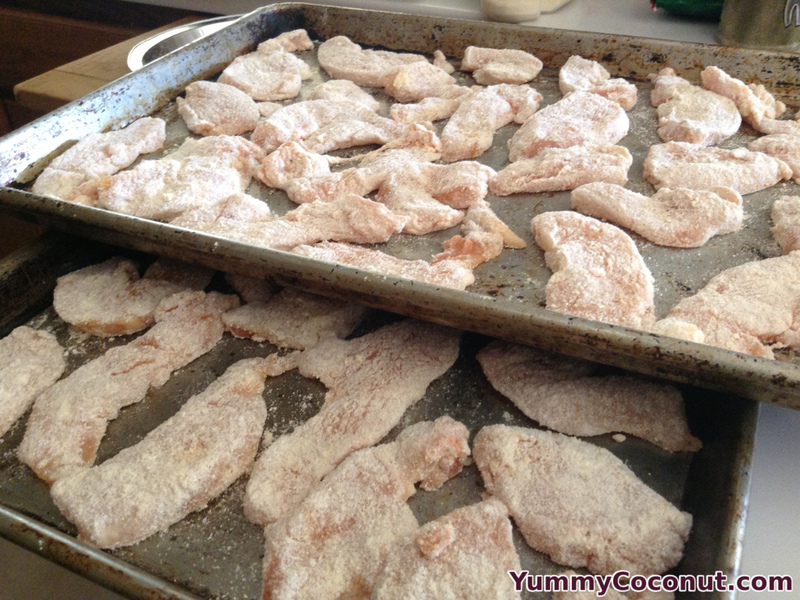 Tired of the same old wheat flour breaded chicken? 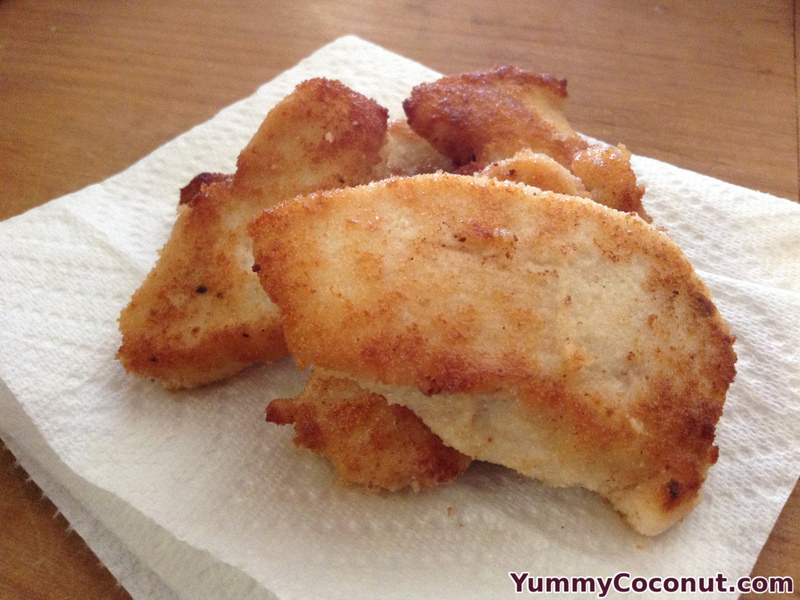 Why not give coconut flour breaded chicken a try? Soak the chicken in the buttermilk for at least 4 hours, overnight is best. Strain off the buttermilk and season the chicken with all the seasonings. Let sit at least 20 minutes to flavor the chicken. Bread each piece of chicken by placing it into the coconut flour, coating both sides, then shaking off the excess. Set onto a rack and let all the chicken sit at least 20 minutes to set the coating before cooking. In a large frying pan, melt 1-2 tablespoons of oil. Once hot, fry the chicken on both sides until fully cooked. Make sure the pan has a good amount of oil in it when cooking your chicken. The coconut flour is very absorbent and needs to have the oil to soak up to make the crust tender. Baking these in the oven is an option also but only if you use plenty of oil to get the coconut flour coating soaked. If you use too little oil, the coating will come out dry and unappetizing.